"...But the real star of this production is, of course, Corduroy. As portrayed by Jean Claudio, this gifted Latino actor, who's only been in Chicago for two years, gets to demonstrate his accomplished acrobatic talent and circus skills. He creates a lovable, cuddly little character who, like Lisa, the children in the audience absolutely adore. Claudio summersaults, flips, moonwalks and almost defies gravity as the fluffy teddy bear that magically comes to life. Every time the actor clearly enunciates his most oft-spoken line, "Button," the children in the audience can be heard mimicking him. And, under Jamal Howard's direction, Mr. Claudio also teaches his youthful audience the repeated ASL sign for the word, "friend." Hopefully we'll be seeing more from this talented young man." 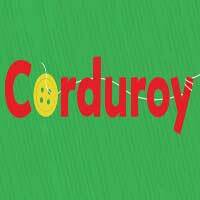 "...Just for the joy of seeing Corduroy’s circus antics, I recommend this show for children (ages 3-6) and their grown-ups. But anyone who enjoys the original book as I always have will enjoy seeing Corduroy live on stage."